We’d love your help. Let us know what’s wrong with this preview of You Wouldn't Want to Be a Mayan Soothsayer! by Rupert Matthews. To ask other readers questions about You Wouldn't Want to Be a Mayan Soothsayer!, please sign up. 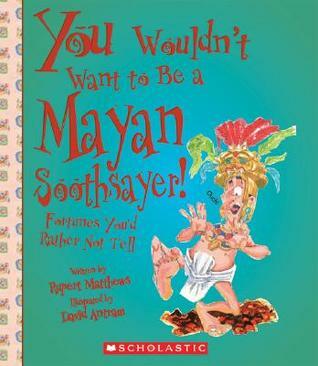 Be the first to ask a question about You Wouldn't Want to Be a Mayan Soothsayer! A fun, slightly gruesome, introduction to Mayan culture and history. 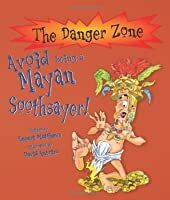 This book is a quick, easy, and fun way to learn about the Mayans. 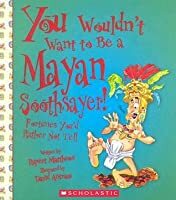 It's a very educating read that demonstrates the daily life of Mayans. It's in a first person perspective where you are a Mayan Soothsayer. It shows the pros and cons of being a Mayan. Overall, I think this was a very fun and educational book to read. Another one down. A lot of information for those who were soothsayers in the Mayan culture. Presented with great pictures that kids will love. The children had to learn math and learn all about 150 gods. I see school hasn't changed much. At least their history classes didn't have that much history. Another great instalment of this history series for kids. Again, the book is full of the shocking and gross out facts that give the series it's title, but there is also a solid ethnographic look at the culture of the Ancient Mayans, in a way that most junior students would understand. Quick, easy, enjoyable, and educating read. Easy to see why so many kids and younger teens love these! As usual the kids enjoyed the word bubbles and handy hints but I felt like this one was a little light on facts about the culture. I didn't learn anything new. Enjoyable regardless. Climbing the ranks of Mayan society probably wasn't as easy as this book makes it out to be. What a fun nonfiction book! 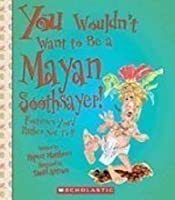 I loved learning all about Mayan soothsayers and I know I could sell this book to my students. It is so good to know there is fun, informative nonfiction out there! i love this series of books! i love to read of all them. quick easy and fun way to learn history! my kids love them too!